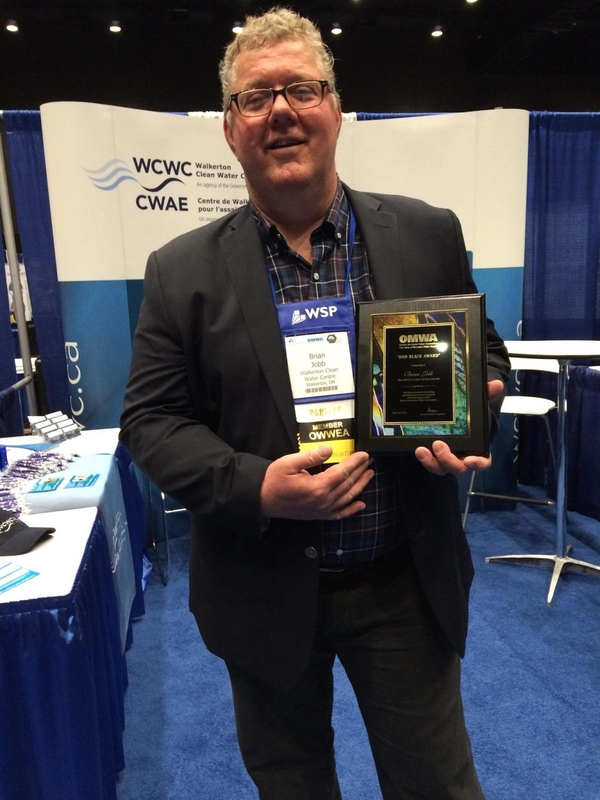 Brian Jobb, Training Manager at the Walkerton Clean Water Centre, received the OMWA’s Don Black Award at OWWA Ontario’s Water Conference & Trade Show in Windsor on May 2, 2016. 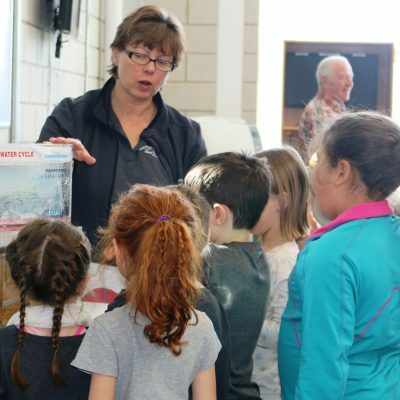 Initiated in 2000, the OMWA Don Black Award in honour of OMWA’s former Executive Director recognizes the contribution of those individuals or public water authorities who have demonstrated outstanding and dedicated service in support of the principles of the Ontario Municipal Water Association. Don was one of Brian’s mentors, so the award has a special, personal meaning to him.